The MAZI project started in January 2016 and will run until December 2018. It is funded under the H2020 CAPS initiative (Collective Awareness Platforms for Sustainability and Social Innovation). To keep up to date with the activities of the MAZI project, subscribe to our newsletter. empower those who are in physical proximity, to shape their hybrid urban space, together, according to the local environment and context. unMonastery, nomadic group, UK & Greece. More information about the MAZI project consortium. What is new about MAZI? MAZI is working on an alternative technology, what we call Do-It-Yourself networking, a combination of wireless technology, low-cost hardware, and free/libre/open source software (FLOSS) applications, for building local networks, known as community wireless networks. By making this technology better understood, easily deployed, and configured based on a rich set of customisation options and interdisciplinary knowledge, compiled as a toolkit, MAZI will enable citizens to build their own local networks for facilitating hybrid, virtual and physical, interactions, in ways that are respectful to their rights to privacy, freedom of expression and self-determination. 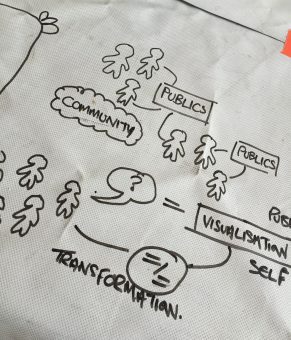 MAZI takes the perspective of existing grassroots initiatives, whose goals are social and political in nature, and explores ways that DIY networking technologies can help pursue them. How will the MAZI develop the toolkit? Installation scripts and hardware options for covering a target area with a DIY network. FLOSS web applications for location-based exchanges and interactions, easily customized according to the context. Templates for the design of physical artefacts that could complement the deployed network. A rich set of guidelines for customization of the functionality offered by the different toolkit offerings.